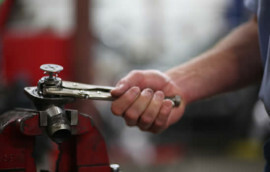 Car repair shouldn’t be any more difficult than it has to be. 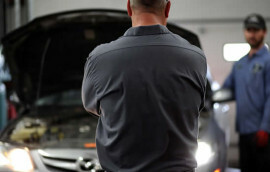 Your search for a repair shop that is fair and affordable is over! Let our local, certified repair experts diagnose and fix your vehicle with the warmth and trust that thousands of customers have come to appreciate. Our mechanics and service techs have gone through rigorous NAPA certification on industry standard parts and procedures so you know you are getting the right repair with the right approach every time. That expertise sets us apart from most repair shops and we have 3 Customer Service Awards and counting from the Windsor Chamber of Commerce. We admit it. We love cars. We love diagnosing and fixing automotive problems. In the modern era, make sure your service technicians have the knowledge and skill to use computer diagnostic data to augment their own experience. Don’t let another shop learn how to fix your car, with your car! 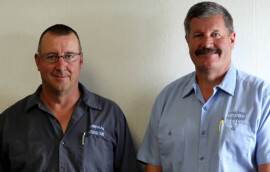 Pete Hyland and Scott Crowe are the owner-operators of Windsor Auto Repair. Between them are decades of automotive repair experience. The team collaborates and tag-teams on the toughest technical issues to ensure the best approach is used in diagnosis and repair. Our established repair shop cultivates real-world experience from veteran mechanics, and we blend that with modern industry certifications.